„Schlachthausgasse“ station of subway line U3 and tramway line 18. The new museum is open all year on Wednesdays from 9 a.m. to 6 p.m. and every Saturday and Sunday from 10 a.m. to 6 p.m.
On selected holidays (see www.remise.wien) from 10 a.m. to 6 p.m.
Mondays, Tuesdays, Wednesdays and Thursdays every hour between 9 a.m. and 2 p.m.
Special tours outside these hours are available upon agreement. children under the age of 15 are free of charge. for owners of a one-year ticket of Wiener Linien, active employees of Wiener Linien, retirees, students, persons currently in mandatory civilian/military service for Austrian citizens (19 to 27 years), persons with disability, and owners of the Wien-Card. groups (10 to 25 persons aged 15 or older): € 4,-. 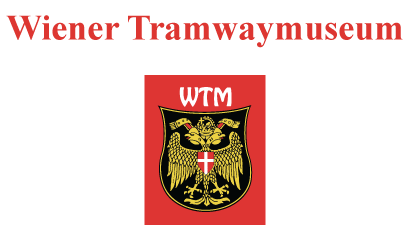 The „Remise – Transport Museum of Wiener Linien“ was opened to a large audience of Viennese of all ages on Saturday, September 13, 2014. The exhibition has since been open all year, offering information about tramway, subway, and busses of past eras. Visitors of all ages can embark on a journey through 200 years of Viennese public transport and explore the interactive multi-media content distributed over different theme points. The exhibition covers all chapters of Vienna’s public transport history, such as the first fixed-track public transport line in 1815, the first horse-drawn tramway in 1865, the first electrified tramcars at the turn of the century, construction of the electric city railway in 1925, the famous „American“, the first modern post-war tramcars, the construction of the subway system and its „Silver Arrow“ trains, as well as an outlook on the future of Vienna’s public transport. New at the Transport Museum of Wiener Linien: the subway simulator – the ideal way for children, school classes and families to playfully explore and learn about history! The entrance with ticket counters and museum shop has been relocated to Ludwig-Koeßler-Platz, corner Fruethstraße 6. Exhibition module nr. 3 shows electrified tramcars and demonstrates the working principle of an electrified motorcar. Future developments of public transport, such as the „Ustrab“ (underground tramway) and driverless operating transport systems are another focus of this module. Developments of tramway car construction are on display in module 9: the 1920’s and 1930’s, as well as war-time Vienna, are documented by original vehicles and other exhibits. Module 14 revolves around „A subway for Vienna“, housing an original subway Train car and the subway simulator. The module „rapid traffic“ focusses on the city railway line and the express railway line. Taking in these vast amounts of information can be exhausting – take a rest at one of the many lounge spots! At the final stop of our current exhibition of original vehicles you get to see Austria’s first articulated engine car from 1957, and an articulated engine car type F from 1963, which was remodelled from a double-axis car. The way to the exit will lead you through exhibition hall I, housing a presentation of international solutions for city traffic, ranging from Medellin to New York.